Grade I-winning millionaires Dortmund, Hoppertunity and Keen Ice, along with Breeders’ Cup Classic (GI) runner-up Effinex, top a star-studded roster of 23 horses that were nominated to the $500,000 Clark Handicap Presented by Norton Healthcare (GI). CASSE EYES CLOSING WEEKEND WITH 2-YEAR-OLDS AIROFORCE, CONQUEST BIG E – John C. Oxley’s Airoforce, second in the Breeders’ Cup Juvenile Turf (GI) at Keeneland, will get a chance to shine on dirt, following his half-mile breeze in :48.40 on Saturday morning at Churchill Downs in company with Conquest Stables LLC’s Conquest Big E.
The 2-year-old Colonel John colt, who has raced exclusively on grass in his three starts, will make his next start in the $200,000 Kentucky Jockey Club (GII) on Saturday, Nov. 28, according to assistant trainer Norman Casse. Conquest Big E, eighth in the Breeders’ Cup Juvenile, is being pointed to a one-mile first-level allowance on the same day. 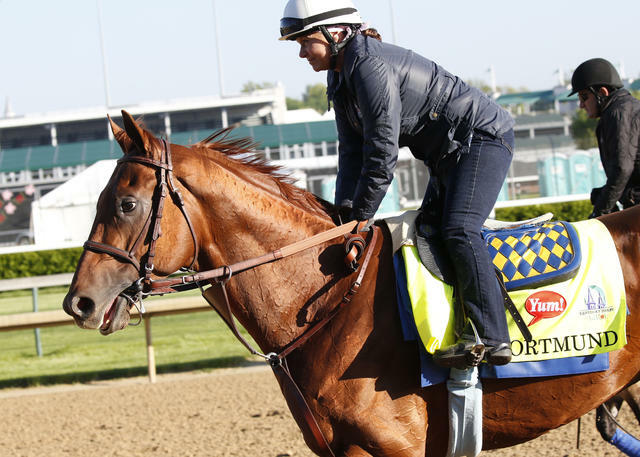 “They both worked on the bridle and were full of energy the entire time,” said Casse, assistant to his father Mark. Airoforce’s three career starts include two victories in a maiden special weight at Kentucky Downs and the Bourbon (GIII) at Keeneland before a runner-up effort behind Hit It A Bomb in the Breeders’ Cup Juvenile Turf. While he has still yet to make a start on the main track, Casse believes that he should handle it well. 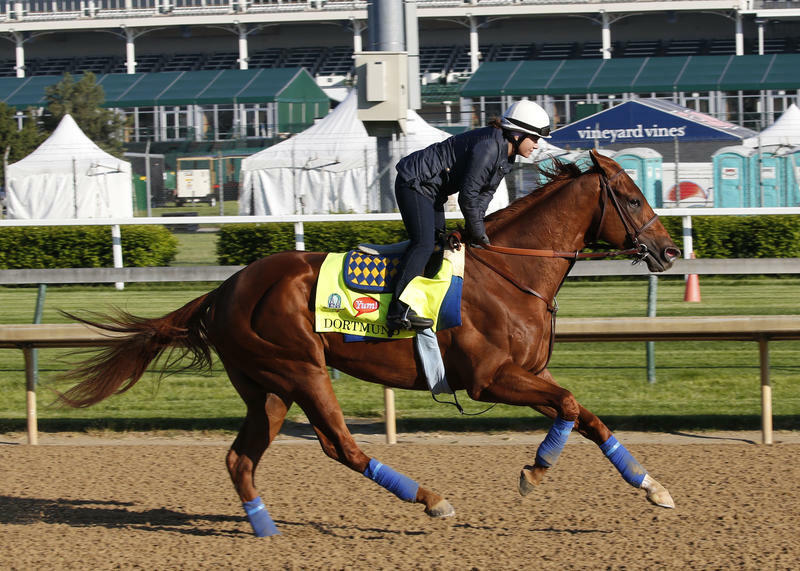 RIDE ON CURLIN BREEZES; LIKELY TO RETURN TO THE RACES SOON – Dan Dougherty’s 2014 Preakness runner-up Ride On Curlin is likely to return to the races soon according to the owner and trainer William “Bronco Billy” Gowan. The son of Curlin breezed five furlongs in 1:01.80 on Saturday with Cory Orm aboard. “He looked good and felt good. I was pleased,” Orm said. 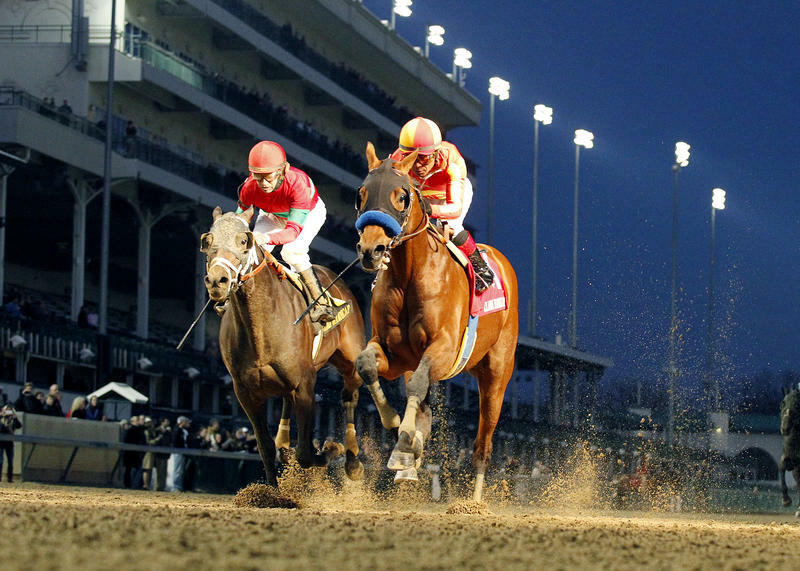 Doughtery was at Churchill Downs to watch Ride On Curlin breeze and stated that one option for his Curlin colt’s return is the $60,000 Thanksgiving Handicap at the Fair Grounds on Nov. 26. DOWN THE STRETCH – Magdalena Racing LLC’s Dothraki Queen breezed a half-mile in :48.40 with jockey Corey Lanerie up for trainer Kenny McPeek, who is pointing the homebred daughter of Pure Prize to the $200,000 Golden Rod (GII) on Nov.28. … Wentworth Brochu’s Chocolate Ride worked a half-mile in :48.60. He has yet to run since a well-beaten eighth in the Woodford Reserve Turf Classic (GI) on May 2, but trainer Brad Cox stated that he is likely to return in December at Fair Grounds. 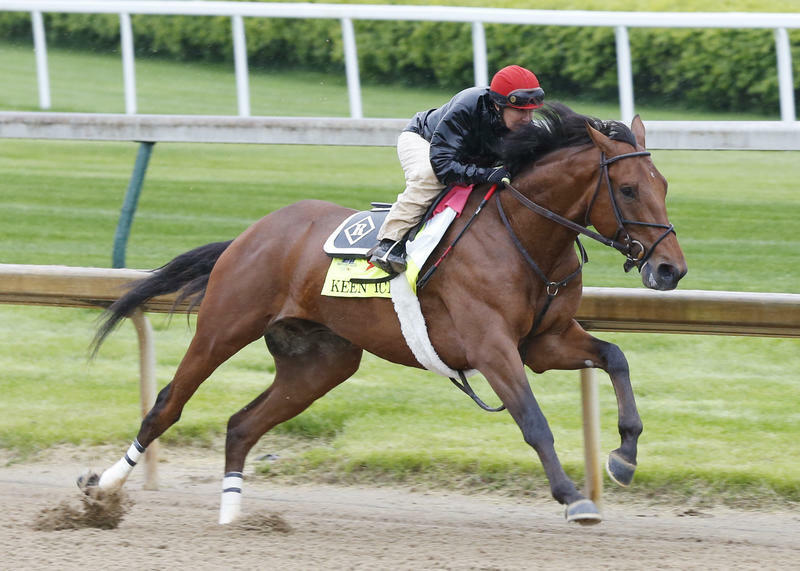 … Gallant Stable’s Majestic Harbor worked a half-mile in :48.80 for trainer Paul McGee – his first work since a runner-up effort in the Marathon (GII) at Keeneland. … Heiligbrodt Stables LLC’s Cinco Charlie worked five furlongs in 1:03.00 for trainer Steve Asmussen.